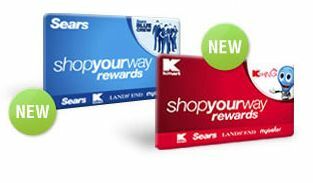 » Shop Your Way Rewards by Sears- Surprise Points? Home » Capital Region Deals » Shop Your Way Rewards by Sears- Surprise Points? Shop Your Way Rewards by Sears- Surprise Points? Are you a member of the (free) Shop Your Way rewards program that Sears offers? If not, I highly recommend it. Their rewards program is similar to other store programs where you earn points every time you shop and can use those points towards money off future purchases. However, Shop Your Way offers an added perk: Surprise Points! These suddenly stopped but I discovered recently that if you log in to your account online, you may still have surprise points waiting for you. I just found $5 in free points for Sears. I LOVE getting freebies with these points!